The Church Sisters' mesmerizing music chronicles their childhood with a haunting sound and blue-grass twist. Their roots extend through Bluegrass and Gospel, performing alongside legendary acts from a young age. The duo is featured on Orthophonic Joy: The 1927 Bristol Sessions Revisited, which was co-produced by Grammy® Award-winner and mentor, Carl Jackson. 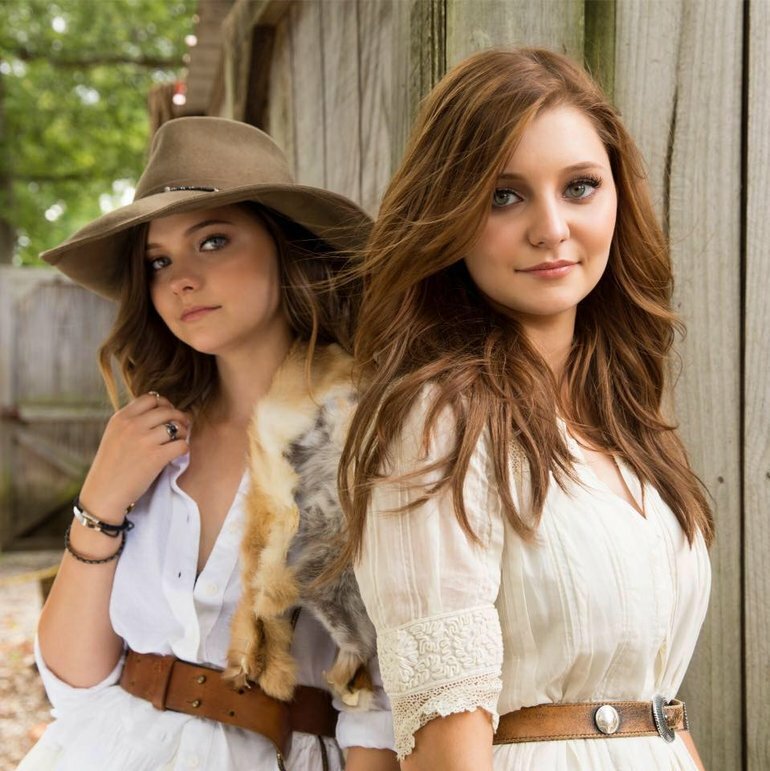 The Church Sisters delivered with “Where We’ll Never Grow Old,” one of the tracks on the two-disc project that also features legendary artists Vince Gill, Emmylou Harris and Dolly Parton. They recently released a moving cover of Lukas Graham’s megahit “7 Years.” The song continues to see airplay at SiriusXM and comes to life in the girls’ first music video. Sarah and Savannah are currently in the studio with Grammy Award-winning producer Julian Raymond working on their debut project for The Valory Music Co. They are also crisscrossing the United States with Delta Rae on select dates.